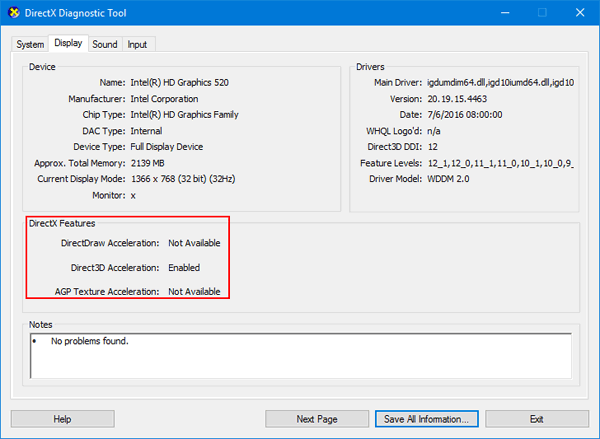 How to check what version of DirectX your PC is using? If you are concerned with video game performance, or you are trying to fix some problems with any 3D application, you can run DirectX Diagnostic Tool to perform basic diagnostic tests. In this article we’ll show you 3 simple ways to run DirectX Diagnostic Tool in Windows 10. Press the Windows key + R to open the Run command box. Type dxdiag and press Enter. This will open DirectX Diagnostic Tool immediately. The System tab lists the general information about your system and most importantly what version of DirectX you currently have installed. The Display tab shows information specific to your graphics adapter and monitor, and you can see which DirectX features are enabled. 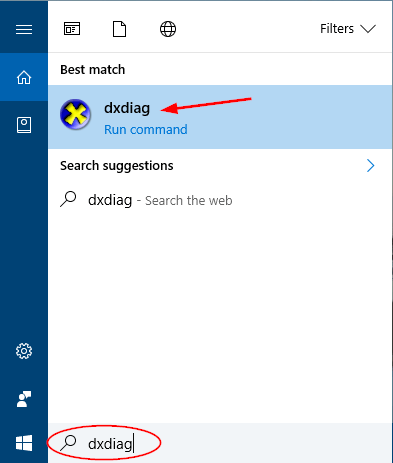 You can also start DirectX Diagnostic Tool by typing dxdiag in Cortana’s search box on the taskbar, and then clicking the dxdiag search result. 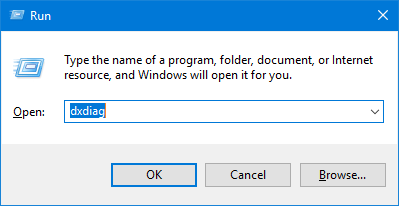 Open the Command Prompt in Windows 10, type dxdiag and press Enter. This will also launch DirectX Diagnostic Tool.